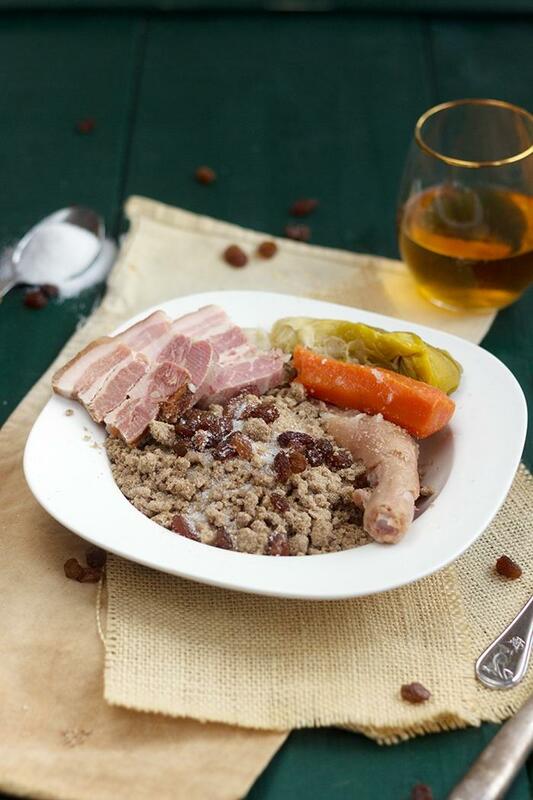 Have you ever heard of a buckwheat couscous with pork? Yes, it exists! This is a specialty that comes straight from Brittany. A recipe from my grandmother. A family tradition: The Kig ha farz or as my grandmother called it: the famous couscous Breton! My mother came to visit us in Switzerland to help me take care of Julie while her dad was traveling to Canada for work. 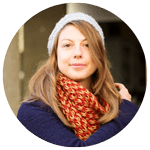 She arrived with a packet of buckwheat flour, salted bacon, pork and pig’s palette (Hush yes she crossed the border with it, but there was not more than a kilo ) to continue the family tradition and give Julie a taste of black wheat semolina. 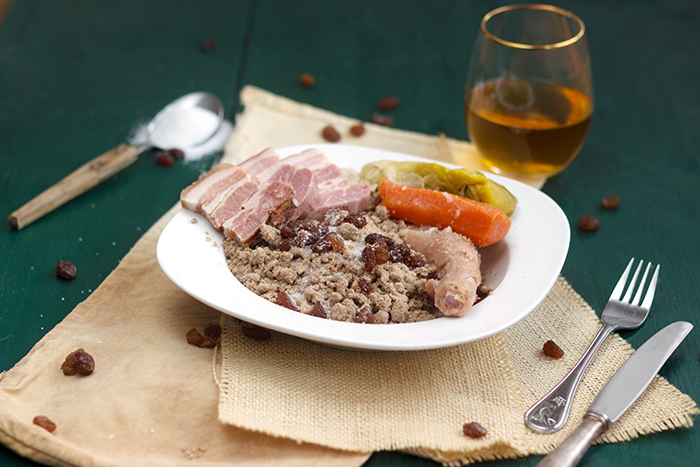 By immersing ourselves in a Breton cookbook and after going through all the recipes available on the internet, we realized that our grandmother was holding on to his pig in the Breton couscous. We never had beef as in the traditional Kig ha farz! In fact, for connoisseurs, it’s a mix between Farz gwiniz and Kig ha farz. Two things are essential to make this recipe. A cotton canvas bag for the farz and a pot big enough to hold all the meat and the bag of farz! Difficult to appreciate at its true value, when one has not fallen in being small. But I think it’s worth a try! Place the pork meat in a large cast iron pot. Cover with water and bring to a boil. Lower the heat. Small bubbles appear on the surface. Remove the foam that foams on the surface with a spoon. Make the farz. Mix all the ingredients : flour, salt, yogurt, diced butter, 2 eggs and milk until you obtained a smooth dough. Roll the edges of your bag and fill it gradually by going up the edges little by little. Leave room for the farz to double in size and tie it tight. Add the bouquet garni, the onion stitched with two cloves and immerse the bag. Cover with the lid of the casserole. Then cook for about 1 hour. Peel the vegetables. Add them to the pot. Put the raisins in a colander to hang from the pot to make them swell. Cook another 2 hours. When the meat is cooked. Remove the bag from the water and crumble the semolina by hand with a cloth as the bag is boiling. Roll the bag many times. Detach the string. Pinch it everywhere to scrape the semolina and take it out of the bag. It must look like couscous seed, the one you know. Serve the semolina sprinkle sugar with the pieces of pork and raisins.